Yes, travel does not always go as planned. Sometimes you win, and sometimes you lose. So was Huaraz a total bust? Not at all. 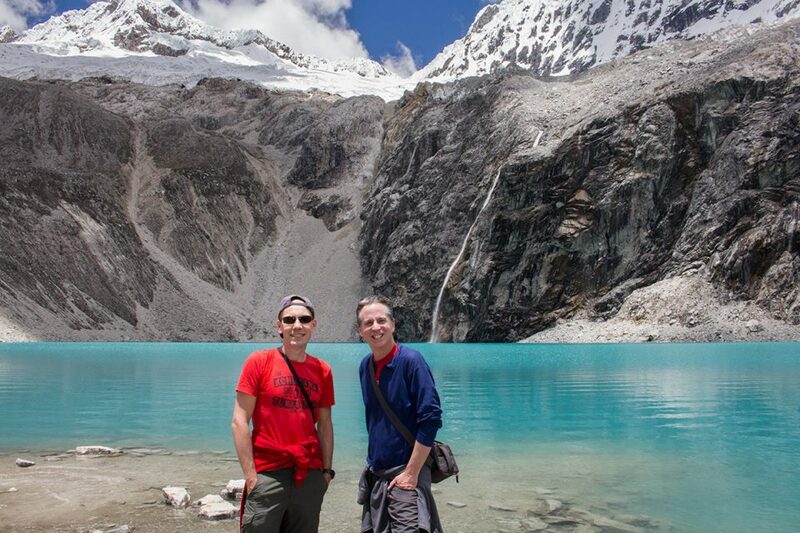 We turned that failure into a major victory by discovering a great group of weather-bound friends and seizing those breaks in the clouds to do some seriously spectacular Huaraz day trips. Here are some of our favorite outings in the area. 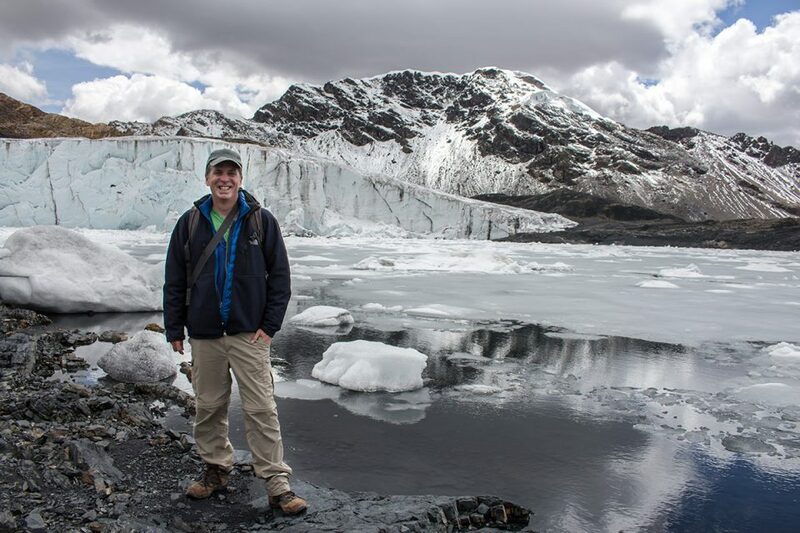 Perhaps our best experience in Huaraz was an amazing day trip to the Pastoruri Glacier, an incredibly rewarding outing which receives surprisingly little attention from the guidebooks. 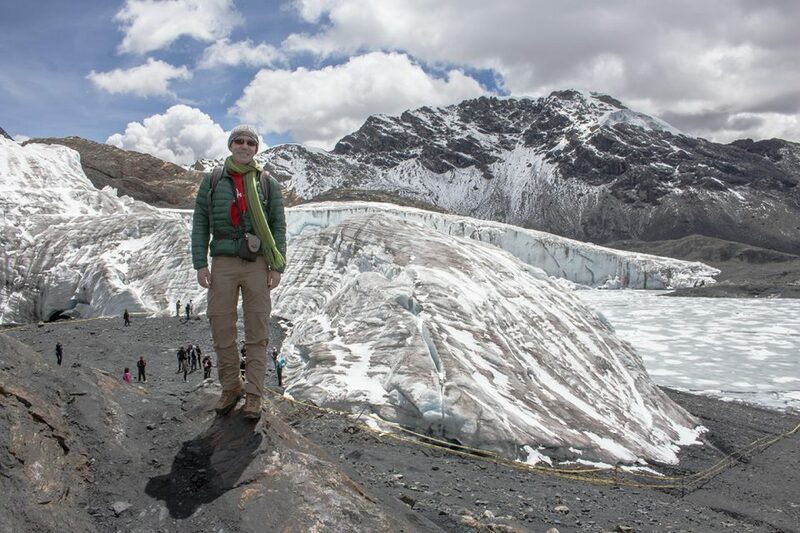 Not only was the glacier out of this world, but the group of crazy characters who shared this adventure with us made this one of our most enjoyable experiences in Peru. The Pastoruri Glacier sits at over 5,250 meters (17,200 feet), but access is surprisingly simple. We only paid $15 for an organized excursion from Huaraz; it would have been hard to do an independent day trip to the isolated location for less. 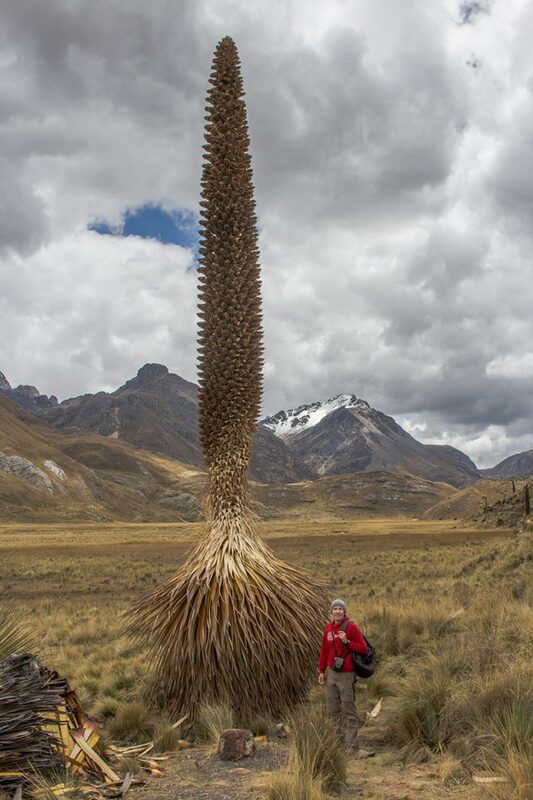 The organized excursion also includes short stops to view some remote bubbling hot springs as well as the rare Puya raimondii, the largest species of bromeliad in the world. Incredibly, the bus was able to drive all the way to 5,000 m. The last stretch of road was an exhilarating dirt track which wound its way up a U-shaped glacial valley backed by snow-covered peaks. Mercifully, the weather gods were granting us exceptional views along the way. The landscape could easily have been mistaken for parts of western Tibet or Ladakh. From the parking lot, it’s a relatively easy stroll along a paved path to the glacier. I say “relatively” because the bus gains a whopping 2,000 m (6,560 ft) in the three-hour trip from Huaraz to Pastoruri, so altitude problems are a major issue. We saw more than one coastal Peruvian lying on the ground. Having said that, I don’t think I have ever been to any equally spectacular high-altitude location that was this easily accessed. It’s definitely a location where Diamox will come in handy. 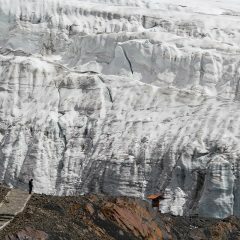 The glacier itself was shockingly large. It really looks like something you would see in Alaska or Patagonia. 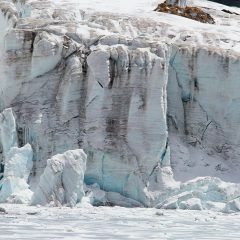 The sheer cliff of ice that marks the edge of the crumbling glacier horseshoes around a large semi-frozen lake full of mini-icebergs. It’s an unbelievable sight. One I didn’t really expect in this part of the Andes. As the trail loops around past the lake on its way back towards the parking lot, it takes visitors up over a hill. From a distance the size of the massive glacier becomes even more apparent. The people look like tiny ants marching along the base of the hulking wall of ice. I’ve asked myself this a hundred times in Peru, but how is this location not a household name? The same could be said for Laguna 69. 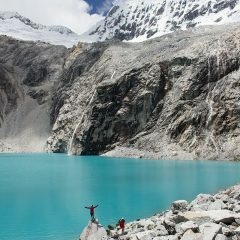 Located in the mountains east of Yungay, the beautiful mountain lake is one of the most popular excursions from Huaraz. 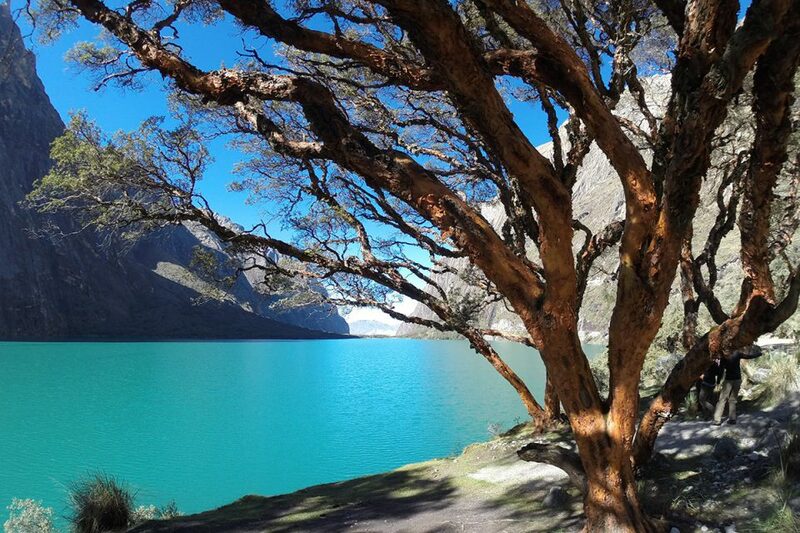 Tours also usually make a quick stop at the gorgeous powder-blue Llanganuco Lake to snap a few photos and explore the beautifully gnarled quenual trees along the shore. With clear weather, the entire drive to the Laguna 69 trailhead is an experience in itself. 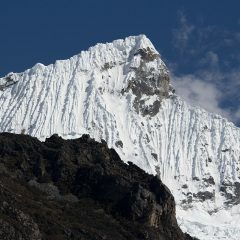 The trip provides incredible views of Peru’s highest mountain Huascarán as well as the peaks of Huandoy and Yanapaccha. 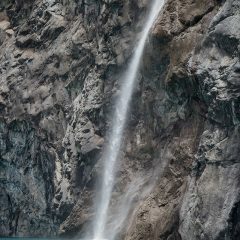 There are tons of options for people who want to trek or climb in the area over several days, but a day trip gives a great overview of what Huascarán National Park has to offer. From the trailhead at about 3,900 m (12,795 ft), it takes about 5-6 hours for the return trip to Laguna 69, which sits at about 4,600 m (15,091 ft). Although it’s not as high as the Pastoruri Glacier, altitude is definitely an issue on this hike as this is a much longer, more strenuous walk. Take your time and try not to let fellow hikers rush you. Our trip was full of young travelers speeding up and down the mountain, who didn’t seem to recognize any connection between their rushed hiking and their severe headaches. Slow down people and enjoy the scenery. And there really is a great deal to enjoy. The extraordinary high-altitude day hike packs in the thrills of a much longer trek. 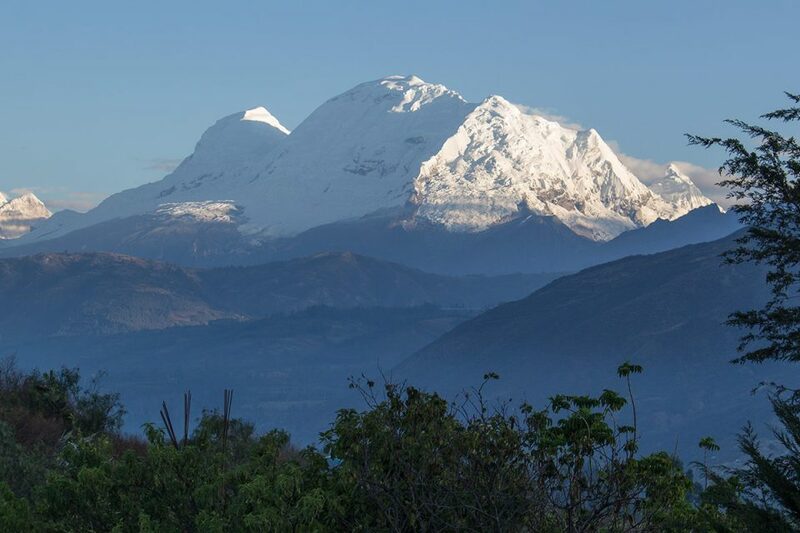 From the first step, visitors are rewarded with a panorama of snow-covered mountains including epic views of the north and south peaks of Huascarán. The trail begins with a shaded stretch through a fairytale forest of twisted quenuals covered with moss and colorful bromeliads. 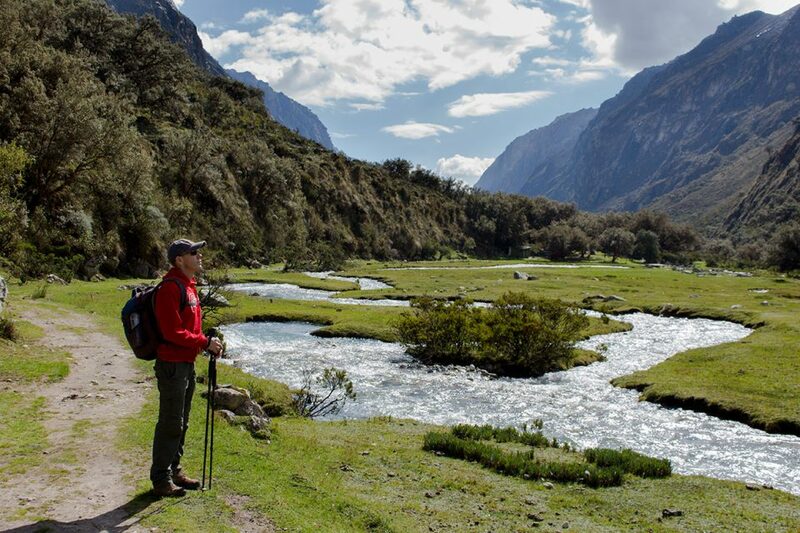 The hike continues across Cebollapampa, a pristine alpine meadow, and follows the classic winding Andean river before the real ascent begins. On the way up a series of switchbacks, hikers pass two impressive waterfalls before arriving at an unnamed lake which mirrors the mountains beyond. The surrounding Yanapaccha Valley offers dramatic views of sheer walls of solid stone as well as more mountain peaks and glaciers. There’s plenty to look at as you slowly make your way up to Laguna 69. It’s a lot of huffing and puffing to get up there, but the exhaustion completely evaporates as you approach the extraordinary lake. The iridescent blue waters are framed in steel-gray stone and cracking glaciers. Waterfalls stream down the mountain and chunks of ice plummet into the water. It’s a mind-bending view that is worth FAR more effort than it takes to get here. 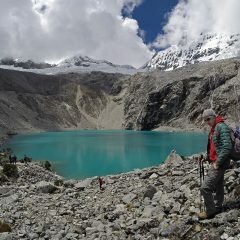 Multi-day hikers can even camp by the lake and continue the walk up to the Pisco base camp. I would have loved to do that, but our Santa Cruz fiasco taught us to respect the weather and save the overnight trips for the proper hiking season. 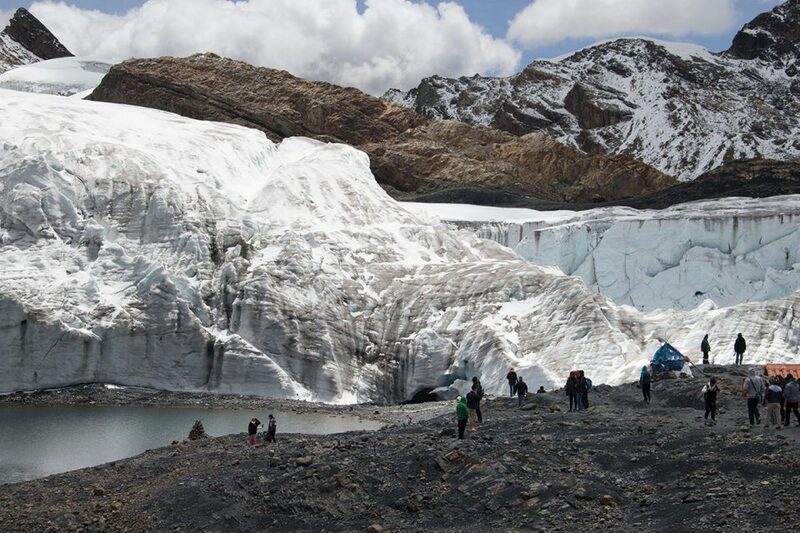 As with the Pastoruri Glacier, independent day visits to Laguna 69 using local transportation are possible, but they aren’t much cheaper than an organized tour. In fact, as some people we met on the path discovered, if your timing is wrong, an independent visit can prove much more expensive. If you are doing a multi-day trek or intend to stay locally and do more day hikes, local transportation will provide more flexibility. Just don’t plan to get anywhere quickly. 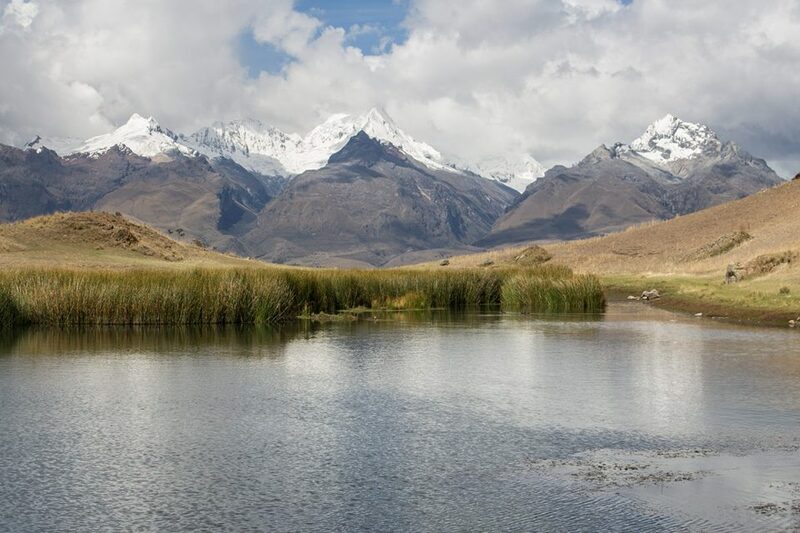 Many visitors to Huaraz start with this relatively easy half-day trip to the pretty Wilcacocha Lagoon, which sits in the Cordillera Negra at an altitude of 3,700 m. It’s an enjoyable way to acclimatize before doing the more strenuous hikes to Laguna 69 or the Pastoruri Glacier. The trailhead is located at Puente Santa Cruz in Chiwipampa, a 15-minute drive by collectivo. 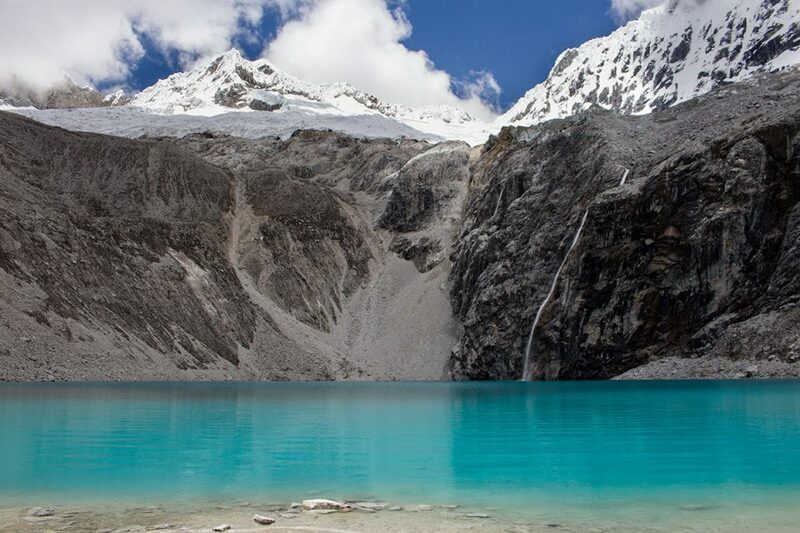 The 2-hour uphill walk takes you to the pretty lagoon, perfect for a picnic and for great panoramic views of the Cordillera Blanca. Granted, if you have visited other trekking locations in Peru such as Ausangate or Salkantay, you may be a little underwhelmed. But the point is that this hike is ideal for getting used to the altitude while taking in some awesome views. 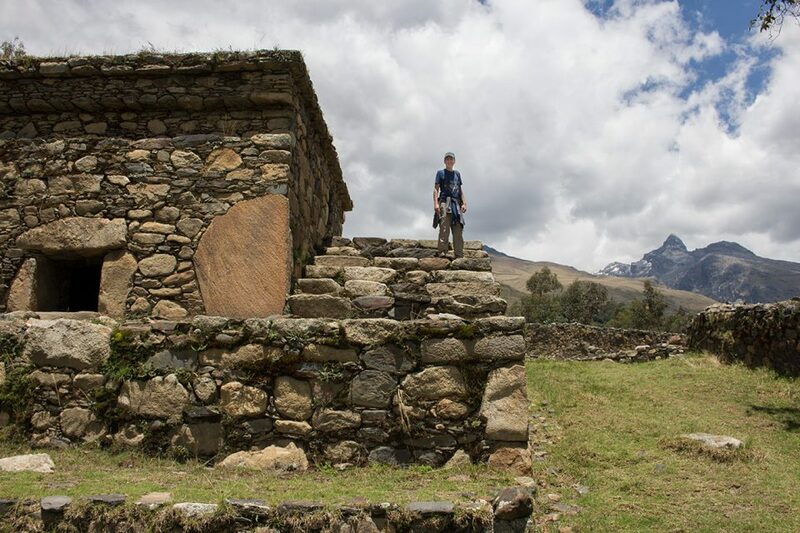 Another worthwhile half-day trip is the archaeological site of Wilcahuain, an easy 7-km walk or drive from Huaraz. This outing is also great for acclimatization. The two sets of well-preserved ruins, located 10 minutes apart from each other, date back to the Wari Empire about 600 to 900 AD. Backed by Vallunaraju and Ranrapalca mountains, the impressive stone structures and chambers were completely deserted when we visited. Make sure you check out the main 3-story temple with its intricate ventilation system; it used to house the mummified bodies of Wari ancestors. Very cool! 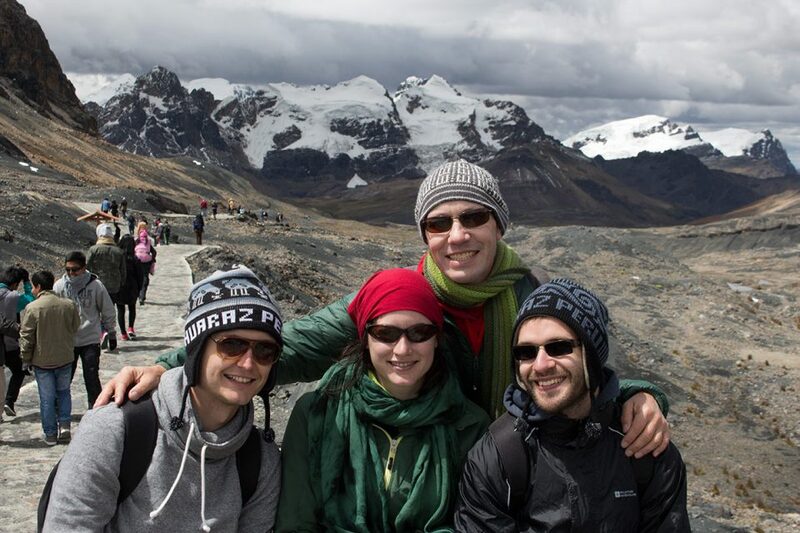 When to Go – Best time to hike in Huaraz is July through September when days are warm and dry. However, hiking can still be good during the shoulder season, starting in May and into November. Accommodation – Most of Huaraz was rebuilt after the 1970 earthquake. So while the city’s location is fantastic, it probably wouldn’t win any prices for most beautiful place. But it’s a wonderful base for exploring the surrounding area, and it has plenty of accommodation for every budget. We recommend searching for great Huaraz deals at HotelsCombined.com, a site which finds the best deals for you across numerous top hotel booking sites. Tours – If you are on a tight schedule, you may want to consider booking a tour in advance. You can check out recommended Huaraz day trips on Viator with tour descriptions and prices. Huaraz itself is also home to many reputable tour companies. 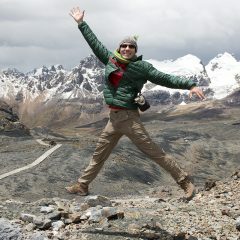 For our tours to Laguna 69 and Pastoruri Glacier, we used Land Trek Andino Expeditions and were quite happy with them. Guidebooks – We often travel with a Lonely Planet. During our six months in Peru, we used the Lonely Planet Peru guidebook and really liked it. It’s great for cultural and historical info, maps, hiking tours, itineraries, and includes highlights such as Lake Titicaca, Machu Picchu, Mt. 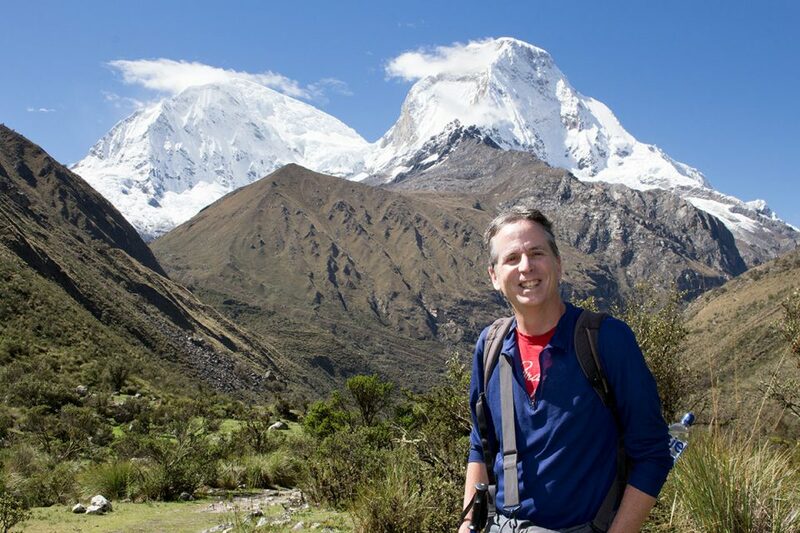 Salkantay, Colca Canyon, and many others. The guidebook can be conveniently purchased on Amazon. Travel Gear – One piece of equipment we highly recommend for exploring Huaraz is an action camera such as the GoPro to capture everything on film. We also recommend trekking poles ; they will be one of your best investments for your knees and back. And since you will be trekking with poles, a GoPro head strap may be quite useful. Thanks you guys. We were just trying to decide if a visit to Huaraz was worth it if we didn’t want to do a major trek. Your blog just answered our question. These hikes look so fun. You mentioned you were there at the wrong time. Do you know the best months to visit? @Sal, The best months are May to October. 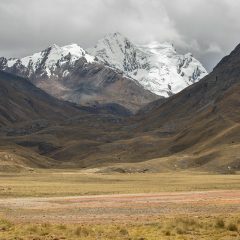 Peak trekking time is northern summer July-Sept.
We saw these pictures and decided to add Huaraz to our trip. We can´t wait to do these hikes. Thanks you guys. 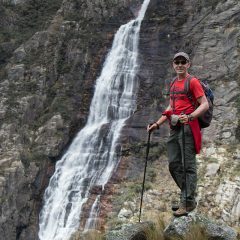 Do you think trekking is better in Huaraz or the area around Cuzco? 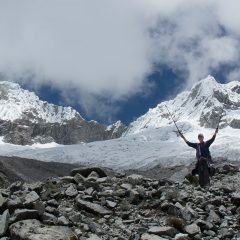 @KH Simpson, Both areas are amazing, but most serious trekkers and climbers tend to base themselves in Huaraz. There are many world-class trekking routes which range from day trips to multi-week expeditions. We do however want to point out that the Ausangate trek near Cuzco is quite special as it is one of the few treks that takes in the scenery and culture of the Altiplano region, which holds a special place in our hearts because of the vast herds of alpaca and llamas along the route as well as the very traditional villages. Which tour operators did you use? @Shana, we used a company called Landtrek. We were quite happy with them and their guide. They offer many tours around Huaraz at very fair prices. We would like to do the Santa Cruz trek independently. Could you tell me where the trailhead is located and how you got there? Thanks! Hi Terri, the trailhead is in Cashapampa. From Huaraz, we got there in two stages. We took a collectivo (mini bus) to Caraz (1.5 hr, 18 soles) and from there took a taxi to the trailhead (1.5 hr, 40 soles). You can pay the park entry fee of about $20 at the trailhead. Good luck! Whoa. Without Thomas for scale I never would believe the size of that thing! I know. I wish I could’ve seen the bromeliad blooming. incredible… I so want to visit! Thanks for the article! Super helpful. How many days would you recommend staying? We would fly from Lima and it looks like there are only two options – get in morning of August 8th and leave a couple of days later on the morning of August 10th, so we would really only one full day unless there was something we could do for a 1/2 day. Or the morning of August 3rd to August 8th? Based on your post, I’m leaning towards the longer stretch, but just want to see if you think that’s too long. Let me know – thank you so much! 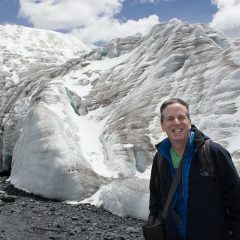 If you have a day and a half, I would do the Wilcahuain Ruins for your half-day outing and either Laguna 69 or Pastoruri Glacier for your full day. 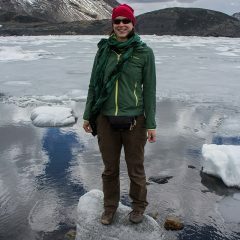 If you don’t want to do the Santa Cruz trek, I would highly recommend doing Laguna 69 AND Pastoruri Glacier. They are very different and absolutely beautiful. For day 3 and 4, you could take a day trip to Laguna Churup and to the Chavin ruins, which many people like. We are still sad that we didn’t have enough time to go to Chavin. Book your Huaraz hiking trip! The cozy Albergue Churup offers private en-suite rooms with breakfast. Amazing rooftop lounge with great views. The gorgeous Llanganuco Mountain Lodge is located near Laguna de Keushu surrounded by nature. Full board and different trekking packages are available. Check out other guest houses and hotels in this wonderful community.